From small Batches to Mass Production. 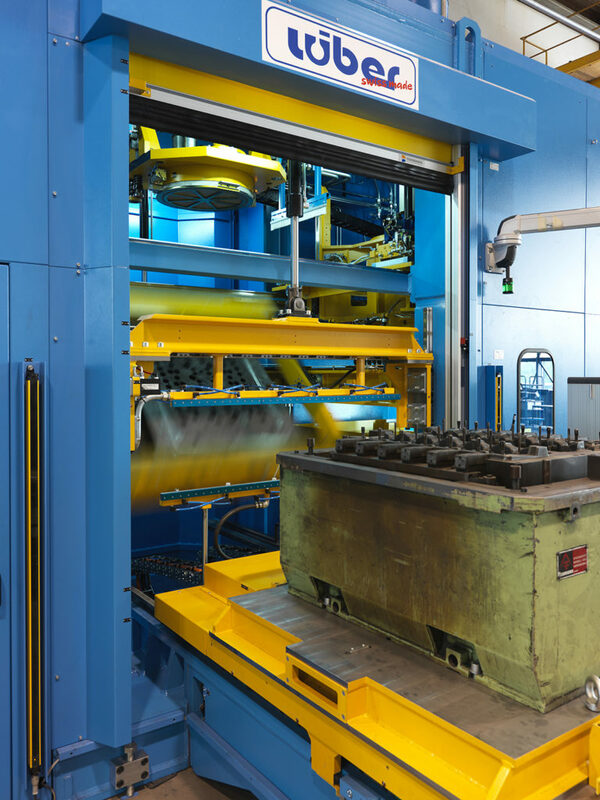 Our long years of experience in the foundry industry have led to us developing core shooters which easily fulfil the high demands of the foundry industry as far as robust machine construction is concerned. Lüber GmbH core shooters can be used in production processes involving all common cold- and hot-curing methods. Our core shooters are of modular build and can therefore be specifically configured in accordance with customer requirements. Specific Features of Lüber Core Shooters. Suitable for all core making processes, depending on requirements, Lüber core shooters also enable you to run up to six-cavity core boxes thanks to their modular build. 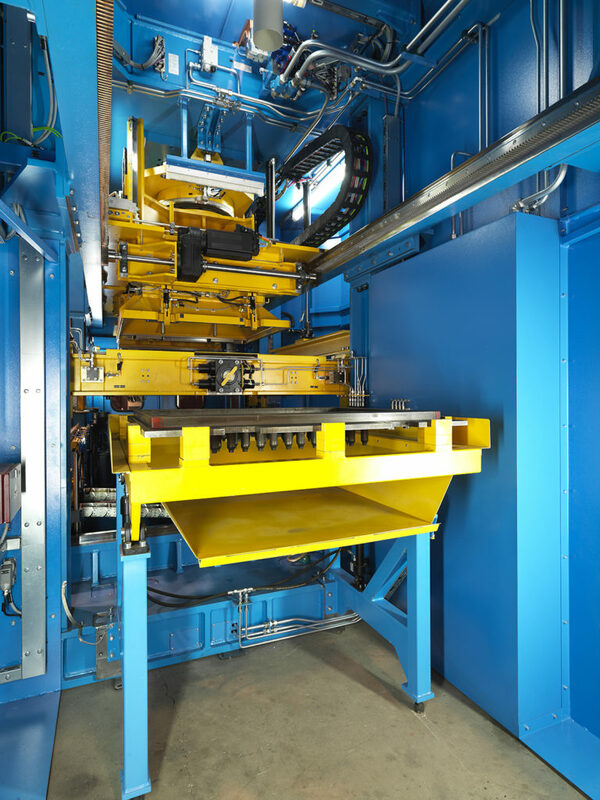 Our machines are built in accordance with customer-specific core boxes, with robust and uniform guide systems and core boxrelated strokes which result in short cycle times. Our core shooters are designed ergonomically with a view to production, maintenance and cleaning. 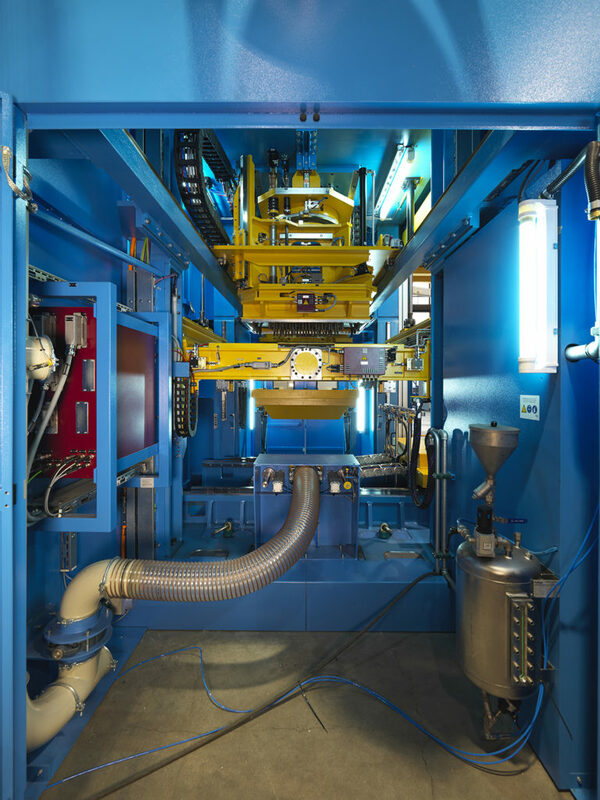 We place the highest priority on operator safety, and all elements moving vertically, such us shooting unit, gassing unit, top part of core box and pressing unit, are locked into position before staff obtains access to the machinery. Lüber core shooters don’t require a base. New Core Shooter Features. Our Lüber core shooters offer new features, such as tilting top of core box in its mounted state 90° for inspection and cleaning purposes. The shooter filter is changed automatically. The bottom ejector is integrated into the bottom carriage. Our core shooters include an integrated gas generator and a shooting plate cleaning station as standard. The exchangeable shooter head allows for individual adjustment to the core box being run. 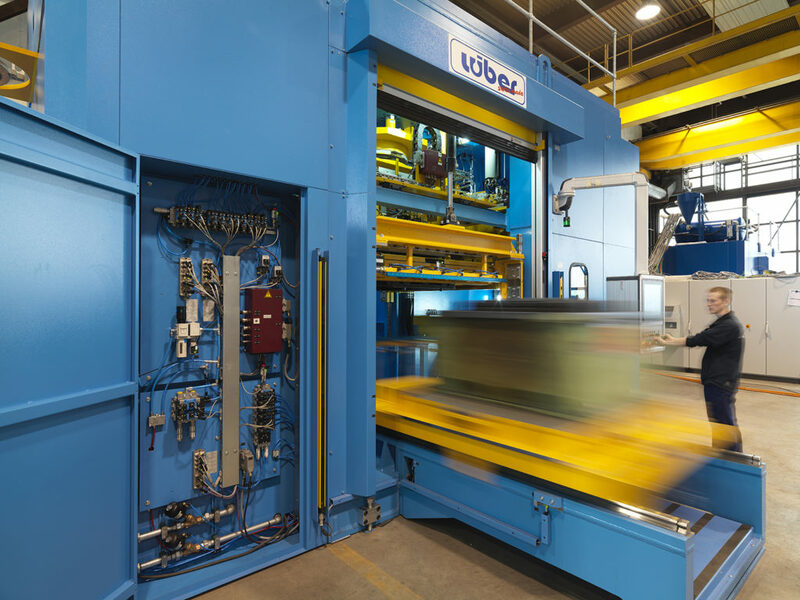 The Lüber GmbH Company offers core shooters specially equipped for optimum production of cores with inorganic binders. Three Machine Sizes. 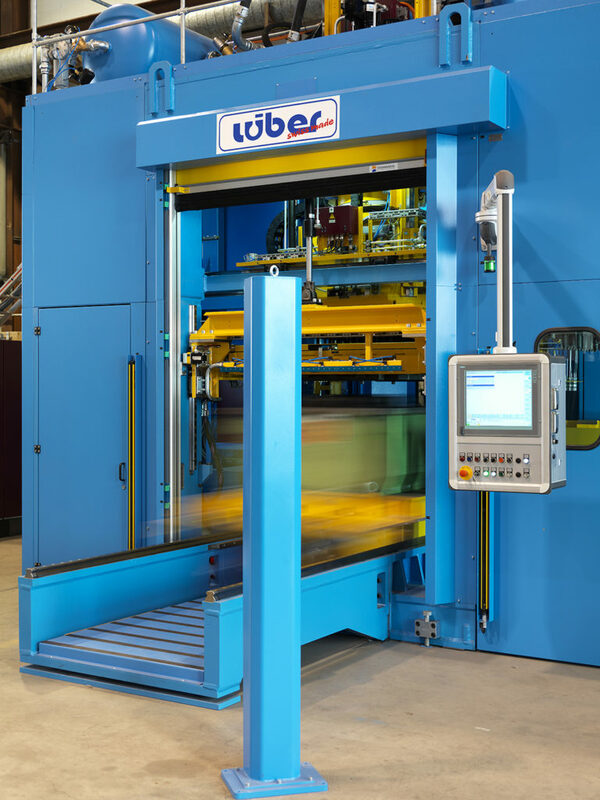 Lüber core shooters are available in sizes S (C1S series), M and L. The C1S series has a shot volume of 10 to 25 litres; a maximum shot range of 500 x 500 millimetres and is suitable for horizontally split core box sizes of up to 600 x 600 millimetres. The C1M series for shot volumes of 20 to 60 litres has a maximum shot range of 1100 x 1100 millimetres and is meant for use with horizontally split core box sizes of up to 1200 x 1200 millimetres in size. The C1L shot range, with a shot volume of 40 to 150 litres, is 1300 x 1300 millimetres max. Our largest core shooter series is dimensioned for horizontally split core box sizes of up to 1500 x 1500 millimetres in size.